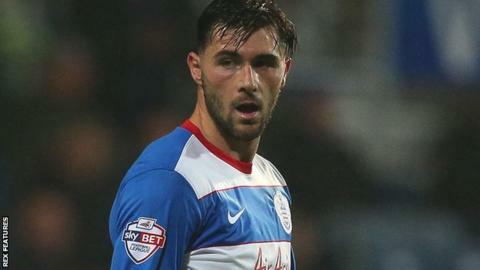 Former QPR boss Neil Warnock believes the club would sell Charlie Austin in the January window - but the striker may not want to leave Loftus Road. The 26-year-old, who is out of contract at the end of the campaign. has scored 10 goals in 16 appearances this season. "They probably should have sold him in the summer. I think they would sell him now," Warnock said. "I don't think Charlie is in a rush to go anywhere as he becomes a free agent in the summer." Rangers director of football Les Ferdinand placed a £15m valuation on Austin last August following the west London club's relegation from the Premier League. Austin hit 18 goals in the top flight last season and averages better than a goal every two games as a professional since joining Swindon from non-league Poole Town in October 2009. Warnock spent a month in interim charge of QPR earlier this season before Jimmy Floyd Hasselbaink was appointed manager last month and believes Austin would "score at every level" if given the opportunity. "If he doesn't think it is the right move, I think he'll stay put until the summer when a lot of clubs will want him in the squad," Warnock told BBC Radio Wales Sport. "He won't rush into anything." Austin has not featured for Rangers, who are 16th in the Championship, since mid-December because of injury.